Japanese artist Mutsumi Iwasaki passed away on April 11, 2013. browngrotta arts has promoted Mutsumi’s meticulously constructed forms since 2006. 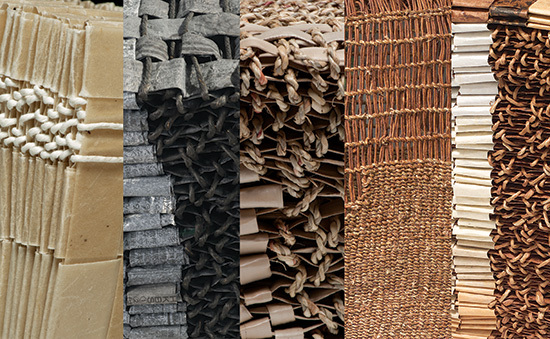 After working as a textile artist for nearly two decades, in 1998, Iwasaki began making both baskets and her own paper. In 2000, her new work was included in the influential In Our Hands Exhibition, in Nagoya, Japan. “I make works in which elements are “piled,” she explained in our 2011 catalog, Stimulus: Art and Its Inception. “They are like small boxes of air and a record of the everyday. I use washi paper that I make myself as the main material. When I use commercial paper I feel the difference in the material.” An illustrated interview with Iwasaki in Japanese appears at: http://www.isogaya.co.jp/artist/iwasaki-mutsumi/iwasaki-m-rireki.htm. With the help of an online translator, you can learn a bit more about her approach, which included adding paraffin to paper made of Japanese mulberry to create thickness. “I liked that the experiment changed the look of the material,” Iwasaki told interviewer, Jinnai Ritsuko in 2008.